The application for the Navitus Bay Wind Park for the South Coast of England has been refused development consent by the Secretary of State for Energy and Climate Change. The proposed wind farm, with up to 194 turbines, would have been located off the Dorset and Isle or Wight coasts in popular sailing waters. The Royal Yachting Association (RYA) has welcomed the decision, announced yesterday by Energy Minister Lord Bourne, to refuse the application by Navitus Bay Development Limited for development consent for both the Application Development and the Turbine Area Mitigation Option. The mitigation plan was for a maximum of 105 turbines and a reduced turbine area from 153sq km to 79sq km, while the original application for up to 194, 200m-tall wind turbines. 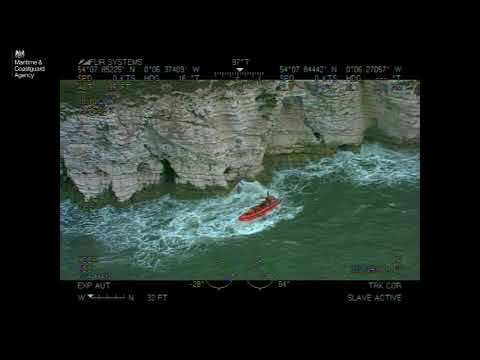 Over the past 12 years the RYA, the national body for boating, has worked closely with the maritime community, in particular the Maritime and Coastguard Agency, Trinity House, the UK Chamber of Shipping and the British Ports Association, in an effort to minimise any adverse impacts that offshore renewable energy developments might have on navigational safety. The RYA also worked closely with the promoter of the proposed Navitus Bay Wind Park from the project’s inception in an effort to ensure that, if built, the project would not have an unacceptable impact on recreational boating activities. However, as the RYA made clear in its evidence to the Planning Inspectorate, the RYA remained concerned that the loss of amenity caused by the development to leisure boaters and the potential risk to the many local businesses dependent on them were disproportionate to the relatively small benefits of the development in terms of generating capacity and economic opportunity for the local community. The RYA also expressed concern about the impact of phased construction, operation and maintenance vessel traffic on the usability of south coast ports and the western Solent by recreational boaters. Although the Secretary of State appears to have based her decision primarily on the impact the proposed development would have had on the Dorset and East Devon Coast World Heritage Site and Areas of Outstanding Natural Beauty, rather than socio-economic considerations or the potential loss of amenity, the RYA welcomes the decision to refuse consent for this development. 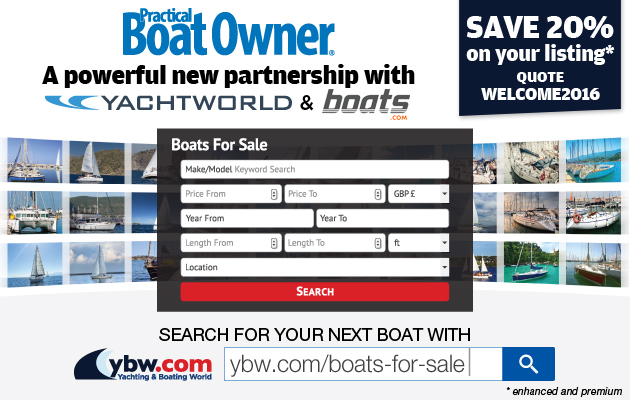 Stuart Carruthers, cruising manager at the RYA, said: ‘We have made it clear from the outset that we were not in favour of the proposal for a Round 3 development zone in the selected location. We recognise that offshore wind farms make a useful contribution to renewable energy generation, but it is crucial that they are correctly sited. 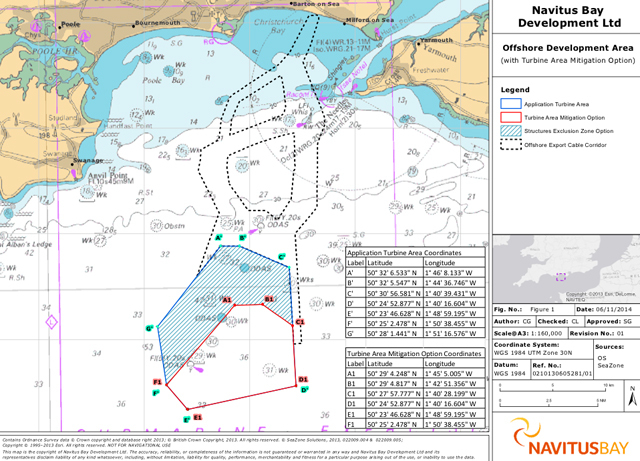 The Navitus Bay Wind Park application was submitted for consideration on 10 April 2014 and accepted for examination on 8 May 2014. It is the 43rd project to be decided under the Planning Act 2008 regime and is the 11th offshore wind farm application examined by the Planning Inspectorate. The decision to refuse development consent follows a six-month examination during which the public, statutory consultees and interested parties were given the opportunity to give evidence to the Examining Authority. The decision documents can be found here. In a statement, the Challenge Navitus opposition group said: ‘After a long and arduous process of consultation and examination, the government has decided to refuse development consent for EDF and Eneco to develop the Navitus Bay wind farm. The government followed the examiners’ recommendation of refusal, so this is not simply a political decision. ‘This proposal was in one of the worst locations of all the new offshore wind farms and we are relieved that the government has agreed that the plan was ill-judged. With so many valid reasons for opposition, and unprecedented levels of objection, it would have been irrational to allow this scheme to proceed. The decision was based on the pros and cons of this particular proposal and should not be interpreted as a change in approach to National Infrastructure projects in general. Stuart Grant, project director at Navitus Bay, said: ‘While we are clearly disappointed by today’s decision, we would like to thank the communities of Dorset, Hampshire and the Isle of Wight and all our stakeholders for the high level of engagement they’ve shown in the project, including their responses to our consultations and during the examination process.